To start here is a little about me, I am male, 23 years old apprentice that enjoys making websites, taking pictures, playing games, watching anime and helping out at local events. I have dyslexia (why do they make that word so hard to spell…) so there might be some mistakes but I will do my best to correct them! In June I took a 2 week trip to the USA to go see my long distance girlfriend for the first time and it was one hell of a trip! I flew from London heathrow airport on the 9th June after a little drama… I got to London on the 8th by train after work since my flight was at 9:40am so I got the tube from Liverpool street to heathrow, found the bus stop I needed after running from Terminal 2 to Terminal 3 and got to my hotel around midnight, got ready for bed then tried to sleep which was not easy with how nervous about the flight I was, woke up at 4am and checked my phone when I got a text though saying that my flight had been canceled and rescheduled… Just what I need at 4am! The flight I got put on was TERRIBLE! That’s right, instead of getting to Boston at 12:22pm I was going to get there at 11pm at night! 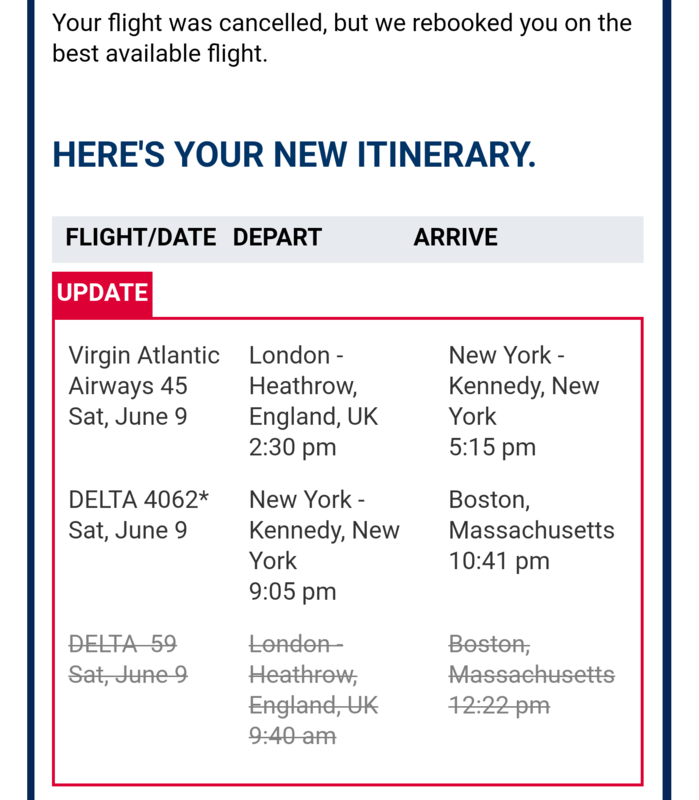 I grabbed my laptop, booted it up and found a much better flight that would get me to Boston at 6:30pm so I grabbed that, booked my seat and checked in then waited around till midday when I had to checkout then hung around in duty free till my gate was announced for my flight. I then made my way over and we where allowed straight on the plan (and of course there was the “Oh this picture is really you? you looked so cute!” because my passport photo is 8 years old at this point) so I got settled in for the flight, watched a movie, played some games and watched the view from the window. I had never flown on my own before so I was nervous but I had been to the US twice and flown to quote a few different places so it wasn’t that bad. We got to Boston early but had to wait in the plane for about half an hour, got off and went though security which went smoothly, got to baggage claim and my bag was right in front of my on the belt, what are the chances! I then headed out of the airport to meet my girlfriend then start the 2 hour drive from Boston to her place in Vermont. After getting there I met the dogs (whom I love and miss) then headed to bed because I was understandably tired after traveling. After sleeping it was time to meet the parents which went well and it was a day hanging around the house with a trip to Burlington before the start of the road-trip the next day. 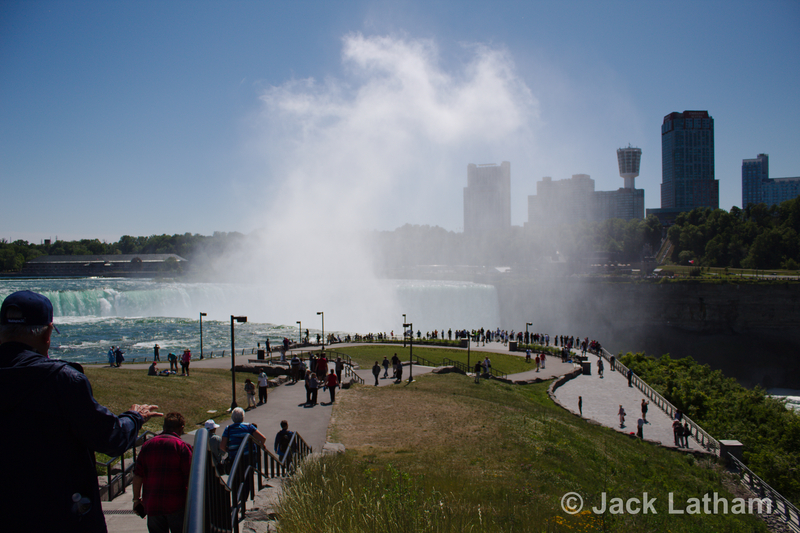 We where up early, packed the car and started out towards our first stop on the trip from Vermont to Montana, Niagara falls! We got there about 4pm and the view was breathtaking! 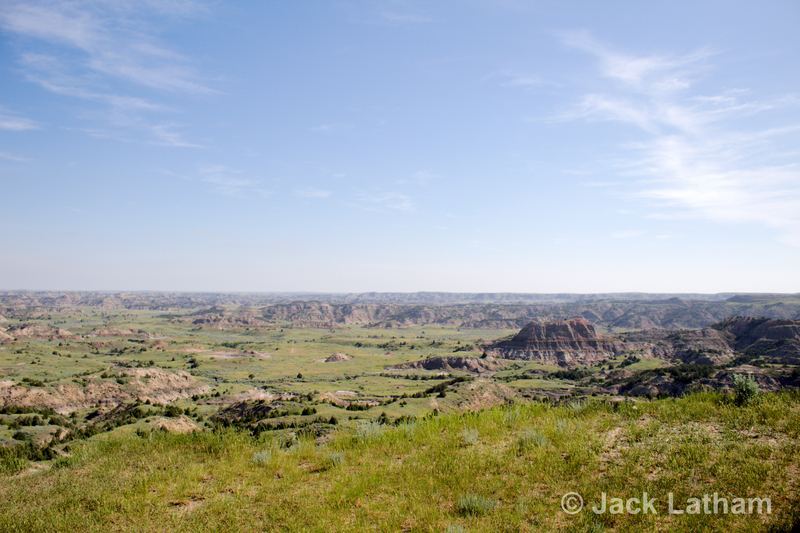 Sadly we didn’t have much time there as he had to get to the camp site but its a view I will never forget. We then left for the camp site, set up camp, slept, packed up and set out towards Cleveland to visit the zoo and rock & roll hall of fame but not before a little detour off the highway to go see lake Erie. The zoo was a lot of fun, saw lots of animals and did a lot of walking but that’s what you expect from a zoo. We left and headed to the rock & roll hall of fame where we did a bit more walking over 4 floor of the museum, was interesting to see how rock & roll has evolved over the years, the stigma that comes with some genres and the impact its had on the world. After that we headed out of Cleveland but not before receiving my first amber alert which scared the hell out of me because I didn’t know what my phone was doing. 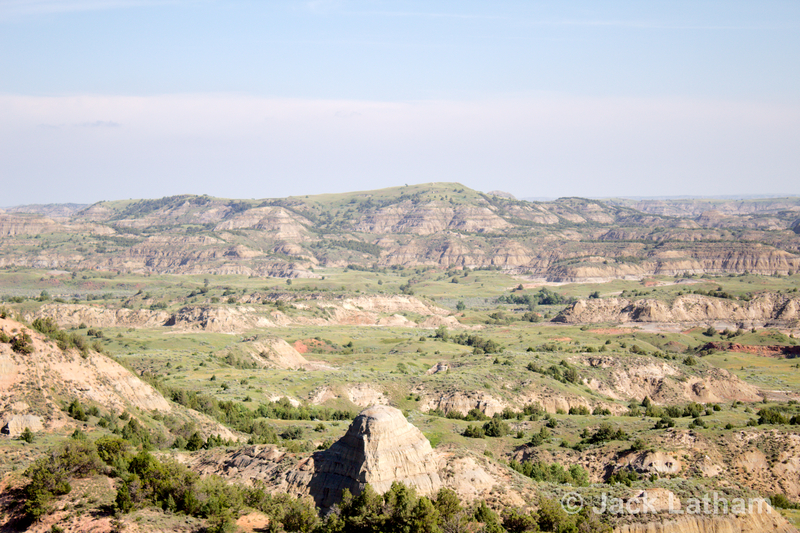 We headed to a motel, got subway for dinner then went to bed before driving though Chicago the next day which took quite a while with the amount of traffic there was but we managed to get to North Dakota before pulling off to another motel. The next day was the same, wake up and get in the car. 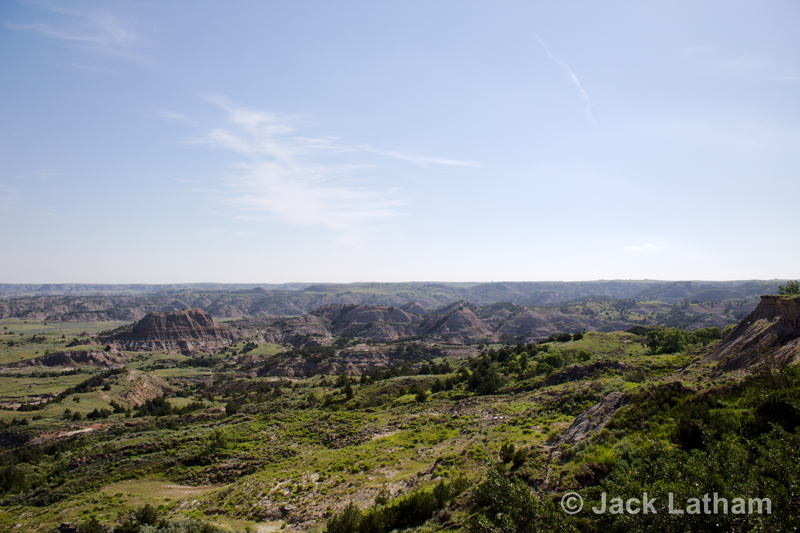 Near the west border of North Dakota we entered the badlands and the views took my breath away! 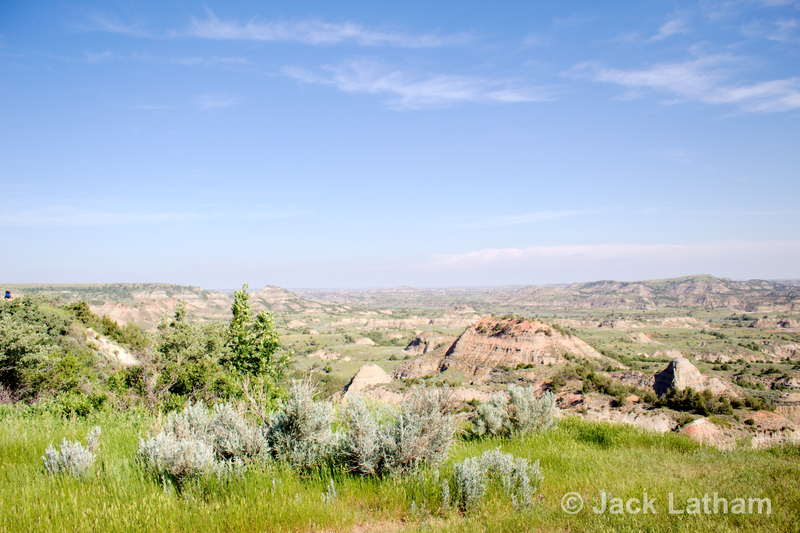 We had to stop to get pictures of the landscape, we pulled off to a viewing area in the Theodore Roosevelt National Park and I got these pictures. 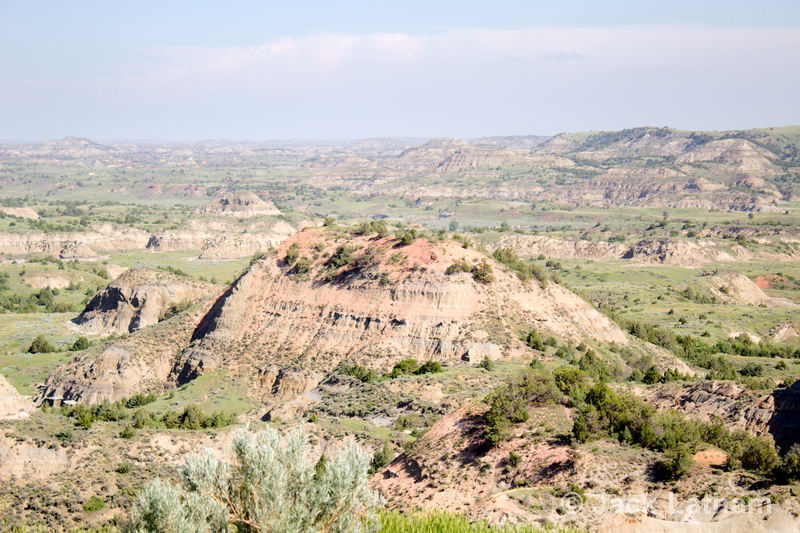 We then headed towards Montana and Great falls where we would be spending the next couple days, it was a log day of driving but the views where amazing and I can see why its called “Big sky country”. We got to the hotel, dropped our stuff off then went out for dinner. Next day we decided we wanted to get back to Vermont as quickly as possible so the next few days where going to be long and a lot of driving. 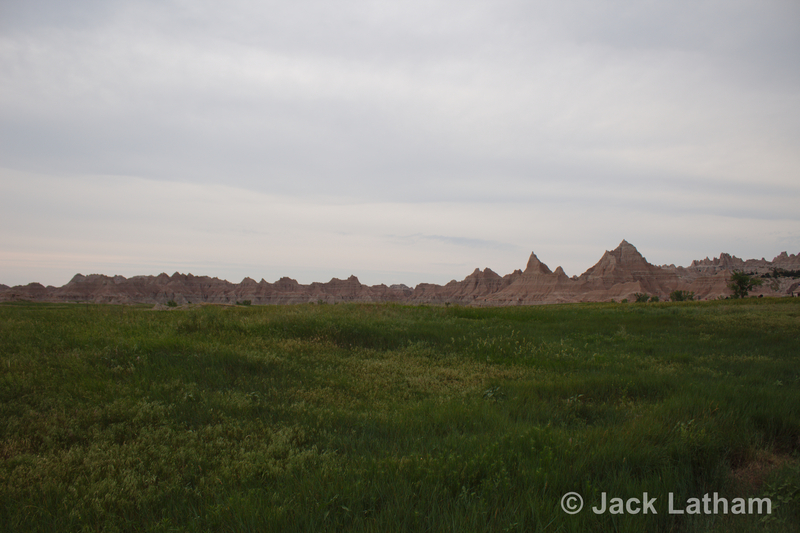 Out next stop was the South Dakota badlands which like the North Dakota badlands where stunning. We set up camp but there was a very big thunder storm rolling in that we could see and hear so we decided to be safe than sorry and packed up the tents and slept in the car rather than risk the lighting. Next day we drove to Iowa city, found a hotel and then went to Chili’s for dinner which was really good and they had a good selection of vegetarian food which is always a plus. Next day we headed to Indiana and Turkey run state park for camping which was an experience since it was 90°F (32°C) and we had a fire going to make some burgers that we got from the local store, was really fun cooking a meal over an open fire. After burgers I had my first experience with smores and they where good. Then in the morning we packed up camp (luckily it was cooler) and started towards Mars, Pennsylvania where I have a family friend living who said we could stay the night, it was another long, hot day or driving but was nice to get to mars, play some corn hole and see everyone there. 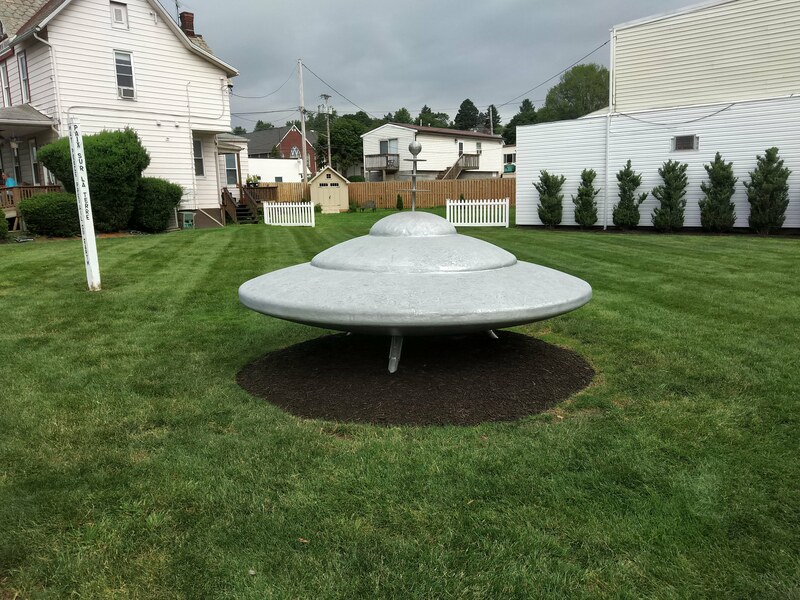 Next morning we went into Mars for a picture of the UFO they have in town. Once we where done with that it was back to Vermont. Getting back was like coming home, we could relax and see the family, there where a few days left before my flight back home so we where happy to spend it back in Vermont. The next few days where spent with my Girlfriend and her family, me and her went back up to Burlington together for some shopping and meal, on the way home I grabbed some stuff to help out with the meal at home that night. I made Couscous and fried veges which went down really well. Next day we went down to Lebanon since her car needed an oil change and there where a few shops she wanted to take me too. My last day was spent with my girlfriend, her kid and her mum where we went strawberry picking and then to the Ben and Jerry’s factory for the tour, I was surprised that the tour was only $4 per adult! Was interesting to see where it was made but sadly we went on a cleaning day so the factory was not making anything that day. Then after all that it was time to head back down to Boston and get my flight home that went without any problems thankfully. I had an amazing time out there and cant wait to go back and see everyone out there, I just need the money for plane tickets and time off work! Thanks for reading and sorry my first post is a long one!